We are engaged in offering a range of anti-invectives that is formulated using quality chemicals. These include Anti Infective Tablet can take orally and parental that is appreciated for accurate composition and effectiveness. 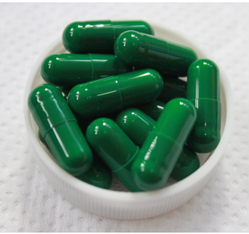 We supply Doxycycline capsules which are used to treat bacterial infections including that of pneumonia and other respiratory tract infections. 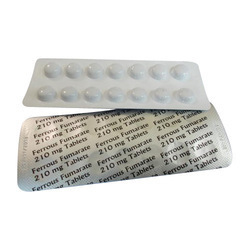 We are actively engaged in offering a qualitative range of Ferrous Fumarate Tablet for catering the diversified requirements of our clients. Dihydroartemisinin (also known as dihydroqinghaosu, artenimol or DHA) is a drug used to treat malaria. Dihydroartemisinin is the active metabolite of all artemisinincompounds (artemisinin,etc.) and is also available as a drug in itself. It is a semi-synthetic derivative of artemisinin and is widely used as an intermediate in the preparation of other artemisinin-derived antimalarial drugs. Dihydroartemisinin (or dihydroqinghaosu) is a drug used to treat malaria.Dihydroartemisinin is the active metabolite of all artemisinin compounds (artemisinin, etc.) and is also available as a drug in itself. It contains a combination of atovaquone and proguanil. Atovaquone and proguanil are medications used to treat malaria, a disease caused by parasites. 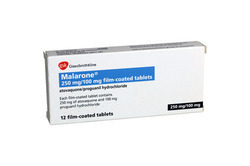 Malarone works by interfering with the growth of parasites in the red blood cells of the human body. 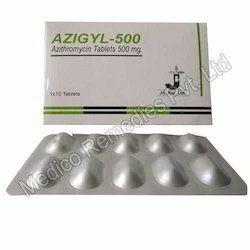 Looking for Anti Infective Tablet ?